Ammar Radhi is a senior proposition manager responsible for leading the global Islamic finance business for the Thomson Reuters group, providing knowledge and information services to governments and businesses to execute their strategies related to Islamic finance and the broader Islamic economy. Ammar has expertise on Islamic finance core and emerging markets, including economic, banking, insurance and capital markets. He leads the Islamic finance solutions in Thomson Reuters that support the continued growth and increasing depth of the Islamic finance industry. Ammar is responsible for leading the Identification and development of strategic initiatives that provide the industry with new opportunities for progressive growth across both Islamic finance sectors and asset classes in emerging and frontier markets. 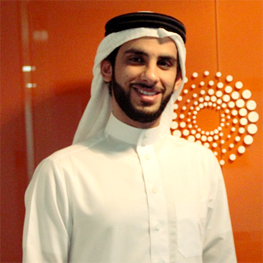 Ammar holds an MSc degree in international finance and economics from the University of London. He has worked in a variety of research settings in financial services. Prior to Joining Thomson Reuters, Ammar was a consultant in the Gulf Growth Capital Fund of Investcorp, providing support in gathering and analysing industry-specific data to develop key investment strategies.